Sawatdee! From the frenetic chaos of Bangkok to the picture-paradise islands, Thailand is a land of many contrasts. 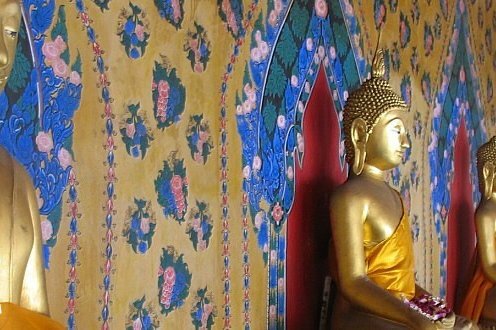 Tourism may have brought Western influences to the country, but its traditional Buddhist culture has survived to produce a unique and captivating destination that remains high on any travellers' bucket list. Thailand is particularly popular with backpackers, often starting their experience with a night or three on the famous Khan San Road, Bangkok. Travel north into lush mountain jungles, traditional villages and the sacred culture of Chiang Mai. Journey south and you will find turquoise waters and white sand beaches, stunning scuba diving, and the opportunity to dance the night away at infamous Full Moon party.